Mobile Frame Zero (formerly Mechaton) has long been a game I admired for being a fairly simple tabletop wargame using giant robots. However, after looking at it long enough I realized that it neglects an aspect of giant robots that I would consider essential: Heat management. 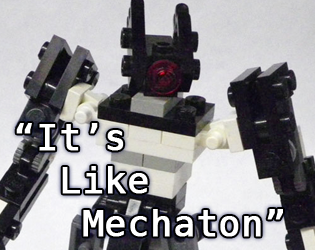 It's not a mech fight if you aren't as big a threat to yourself as the enemies are. Full rules are available through Google Drive. Please patronize the original game. It's still a thing I admire.